Learn how to study Spanish grammar the right way. OptiLingo’s free online Spanish grammar lessons will teach you the quick and easy way. OptiLingo’s free online Spanish grammar lessons are perfect for all ranges of study. Whether you’re just beginning to learn Spanish or you are already an advanced speaker, our free Spanish grammar lessons will teach you the basics and help you master more advanced topics the quick and easy way. OptiLingo’s free online Spanish lessons offer the best way to learn Spanish grammar. 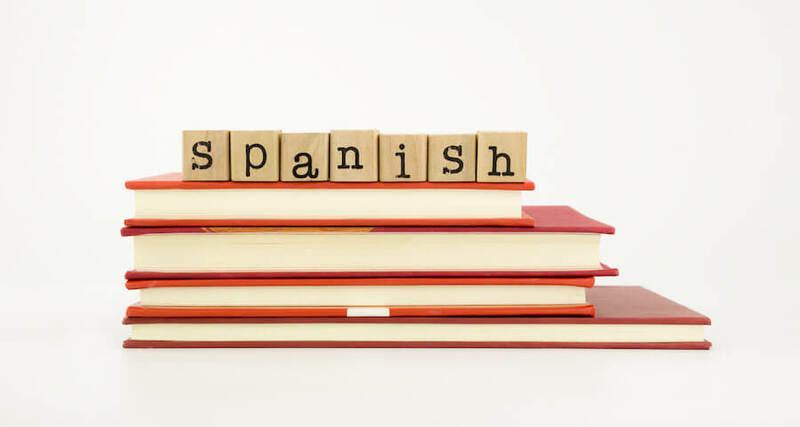 We give you the structure you need to understand how the Spanish language works and then lots of helpful examples to illustrate each principle in practice. We believe this is the best way to learn Spanish- just a little bit of theory and a lot of practice. Throughout free online Spanish grammar lessons, we offer a range of helpful Spanish vocabulary words and lots of helpful Spanish survival phrases. We combine all of this with helpful grammatical references that provide the context necessary to understand why a certain Spanish phrase or sentence works the way it does. For anyone who has ever struggled with how to learn Spanish grammar, we know that this approach works the best. At OptiLingo, we don’t believe in a one-size-fits-all approach to learning Spanish- or any other language. For that reason, all of the lessons in our free online Spanish course are available for you to chose from. Some might want to start at the beginning and work their way through each free Spanish lesson. Others might want to pick and chose; whether you’re just beginning with Spanish or you are already at an intermediate or advanced level of Spanish, the decision is up to you. Feel free to check out some of our most popular and helpful Spanish grammar lessons below. The Spanish alphabet, or “abecedario” in Spanish, consists of 29 letters. (In case you’re curious, the proper Spanish pronunciation of “abecedario” is “a-BAY-suh-DA-ree-oh”.) It is similar to the English alphabet, with a few minor exceptions. In this section on the Spanish alphabet, we’ll walk you through those differences so you can master the Spanish alphabet and Spanish pronunciation quickly and easily. Most people are familiar with the two main dialect of Spanish: Castilian Spanish and Latin American Spanish. Like many widely-spoken languages, however, Spanish comes in many different varieties, and some would argue that there are as many as 10 different dialects. Want to count to 10 in Spanish? How about 100? Then you’ll need to learn Spanish cardinal numbers. Do you want to describe the first time you went to Spain? How about the third time you visited Mexico? Then you’ll need to learn Spanish ordinal numbers. Articles are incredibly easy in English because they are gender neutral: the, a, an. Articles in Spanish are a bit more complicated because the language has gendered nouns which require the correct article. The article is tied to the noun, but it is important to understand that you will need to use the right article for the noun type – it can be a difficult concept for English speakers to grasp since we do not have anything comparable. There are eight articles in Spanish, comparable to the three English articles. Unlike English, Spanish nouns may be masculine or feminine in gender. Similar to English, Spanish nouns may also be singular or plural. Generally speaking, Spanish nouns that refer to males are masculine and Spanish nouns referring to females are feminine, but nouns referring to inanimate objects and abstract concepts also have grammatical gender. Spanish personal pronouns: fall into the categories of Spanish subject pronouns, object pronouns, prepositional pronouns and reflexive pronouns. Spanish relative pronouns: link two parts of a sentence together that have something in common. Spanish demonstrative pronouns: agree in gender and number with the nouns they represent. Spanish indefinite pronouns: refer to singular or plural nouns in a general sense. The subject of Spanish pronouns is rich and complex, and the links above will provide you with a grounding in this topic. Spanish interrogative pronouns: also referred to as Spanish question words; these are similar to “who, what, where, when, why, how” in English, though there are a few more Spanish interrogative pronouns than there are English ones. All Spanish adjectives must agree in gender and number with the Spanish nouns they modify. As such, Spanish adjectives come in four forms. El chico es el más alto de la clase. Whereas adjectives describe nouns and pronouns, Spanish adverbs describe adjectives, verbs and other adverbs. In English, adverbs are formed by adding –ly to adjectives. Most adverbs are relatively straightforward in Spanish, making them easy to use. In most cases, you can simply add the suffix –mente to the feminine version of the adjective (or the neutral form if it has no gender) you wish to use. He leído distraídamente. I read distractedly. Yo aprendo rápidamente. I learn quickly. Two common exceptions are slowly (despacio) and too much (demasiado). These two words do not require the suffix to act as adverbs. Verbs can be the most difficult aspect to learn in any language because all languages tend to have their own ideas on how verbs should be conjugated. Romance languages like Spanish have considerably more irregular verbs and exceptions. Though English and Spanish share some grammatical structure, they are not identical. After all, they have different roots. One of the biggest differences between English and Spanish is that in Spanish, nouns come before the adjectives that describe them. Additionally, the Spanish grammar case system can affect the way that direct and indirect objects behave, as well as how definite and indefinite articles operate. Spanish and English share around 30% – 40% of their vocabularies in common. These shared words are referred to as cognates. At the same time, there are a number of words that sound similar in both languages but have different meanings. These are called false cognates or false friends. Are you struggling to learn Spanish vocabulary? We’ve identified the top 600 most helpful and commonly used Spanish vocabulary terms and organized them into 26 thematic groups. OptiLingo’s Spanish vocabulary list will help you learn the words you need to speak Spanish quickly and confidently. Similar to our Spanish vocabulary section, OptiLingo’s Spanish survival phrases are designed to give you the broadest ability to express yourself. We avoid terms like, “Can you help me with my luggage” and teach you broad-based terms you can use almost everywhere like, “Help me with this, please.” That’s just one example, but you’ll see what we mean when you check out these lessons. In addition to all of the above, OptiLingo’s free online Spanish course also provides a number of reference-based Spanish lessons on Spanish holidays, how to say the seasons in Spanish, as well as Spanish days of the week and Spanish months of the year.